The average construction company can have hefty daily and long-term expenses, from stalled construction projects to typical maintenance costs. Between slow client payments and steep interest fees on bank loans, it can be difficult to keep your business afloat. Solving financing problems before they get out of hand can mean the difference between declaring bankruptcy and enjoying a healthy operation. If you’re one of many construction companies with these four common financing problems, there’s a viable solution. Construction projects are generally expensive investments for facility owners. A constructed facility is a large short-term cost with benefits only over long-term use—creating a situation where many owners don’t have the funds to fully pay off a project in one lump sum. Slow client payments can create financing problems for the construction companies in charge of the project. Most construction companies receive periodic payments from the owner. Unfortunately, this often leads to contractors having a negative cash balance due to delays in payment on the owner’s part. Permanent delays from the owner can result in financial burden and cash flow problems to the contracted construction company through no fault of its own. It can be difficult to get owners to pay their balances in full or make payments on time. If you’re stuck with negative funds due to an excess of accounts receivable, consider factoring. Factoring companies will buy your accounts receivable, giving you immediate access to cash. Factoring can take delinquent accounts off of your company’s liability list, allowing you to meet cash-flow needs without taking out a loan. Construction companies facing large financial problems typically don’t have the available credit to cover payment delays or other issues. Contractors generally don’t have large capital assets, so loan companies perceive them as credit risks. In turn, this results in higher interest charges on loans. The larger the construction project is, the greater the risk and the greater the interest. Premium interest charges can ultimately lead to worse company debt and financial pitfalls. Instead of taking out a bank loan or private company loan, consider factoring for a cash boost you won’t have to repay. If your construction company suffers financial hardship due to late owner payments, a loan may seem like a solution until you realize it will only add to your outstanding debt. Factoring your accounts receivable can give your company the cash it needs without adding to your debt. Every construction project has its pitfalls, but some are costlier than others. When the unexpected happens, it can result in expensive delays and losses for your company. Costs that run beyond your original estimate can put you at risk of losing money. If your company takes on projects using fixed-price contracts, you may be at risk of incurring losses if the project takes a turn for the worse. The longer a project takes, the more likely it is that you’ll face issues. Avoid expensive cost overruns by staying on top of problems as soon as they arise and double-checking estimates before beginning a project. 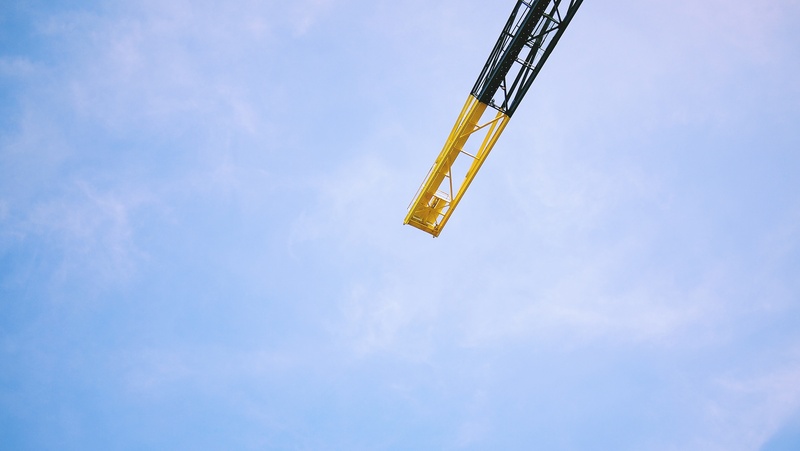 The demand for new construction projects can be highly cyclical in nature—the market can drop and rise rapidly from year to year or month to month. This often creates financing problems for construction companies that rely on steady income to continue operations. Bridging the gaps between projects can spread your company’s funds thin, leaving you with hardly any available cash flow when the season picks up again. If you find yourself in a business slump, consider factoring for quick cash to float your company’s daily expenses until your next peak. Selling outstanding accounts receivable to a factoring company can take the pressure off of you to pay short- and long-term debts. It also takes the fate of your company out of the hands of customers and brings it back under your control. If you’re in need of quick, efficient, and debt-free financial relief, factoring may be the perfect solution.